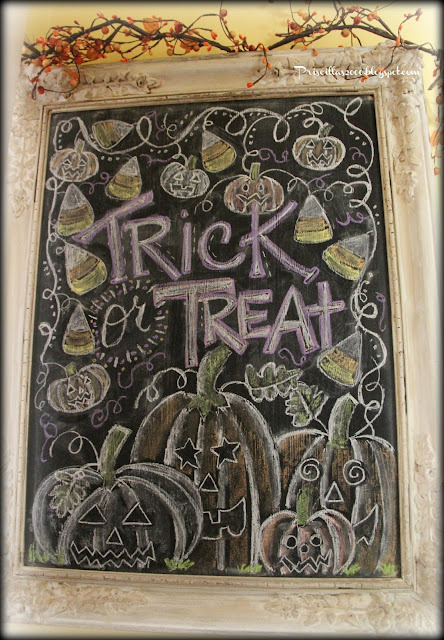 That's one cute Halloween drawing! 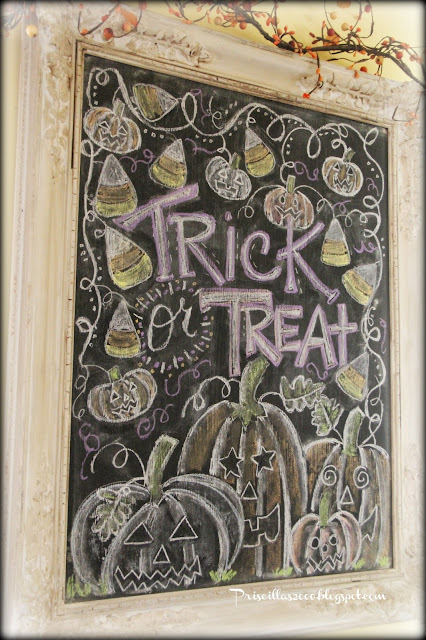 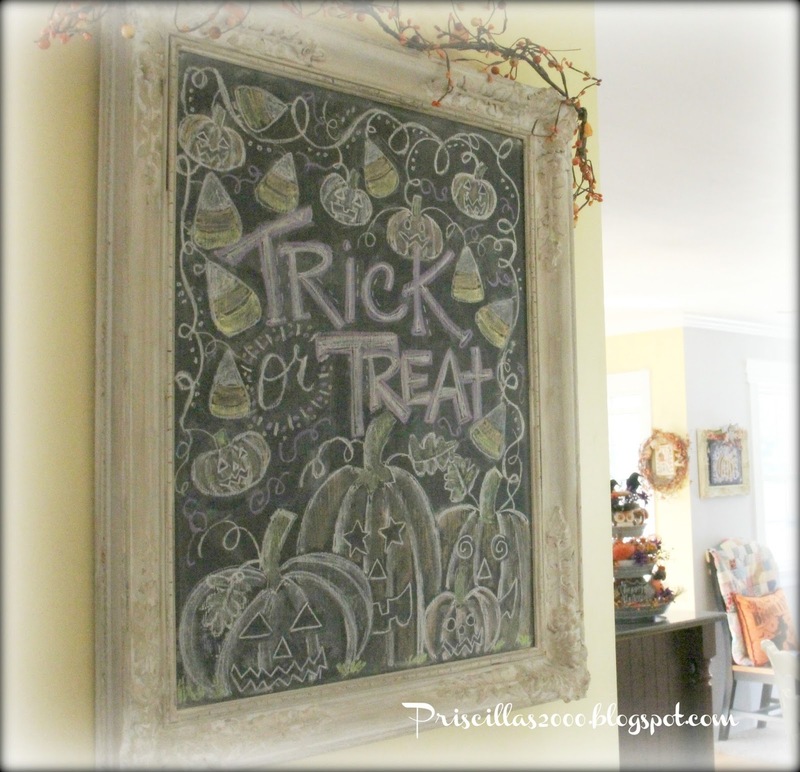 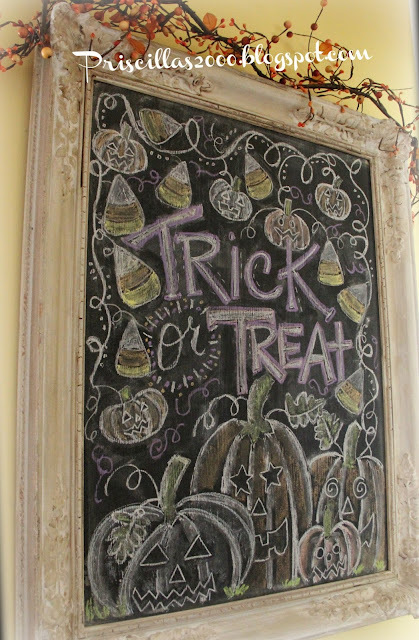 I too think that your chalkboard is perfect for seasonal decor, beautiful artistry! Both versions are so cute, Priscilla--and I love the big candy corns :) It won't be long now--I'm sure your grandsons are very excited to trick or treat! I always love seeing your chalkboards! 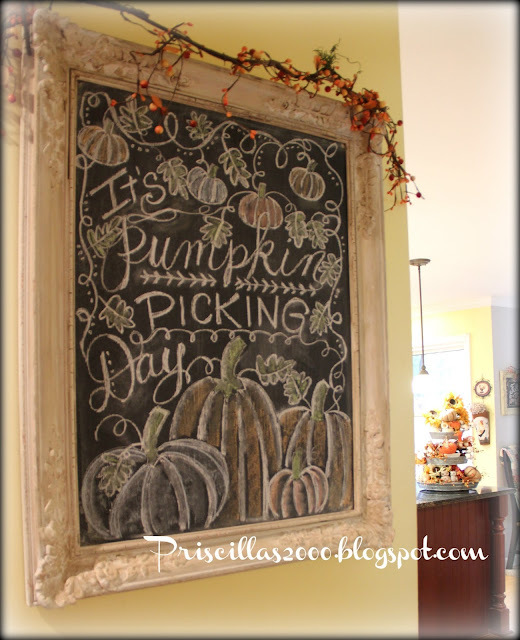 Hi Priscilla...love your blog and your love for CrossStitch (which I do also)!!! 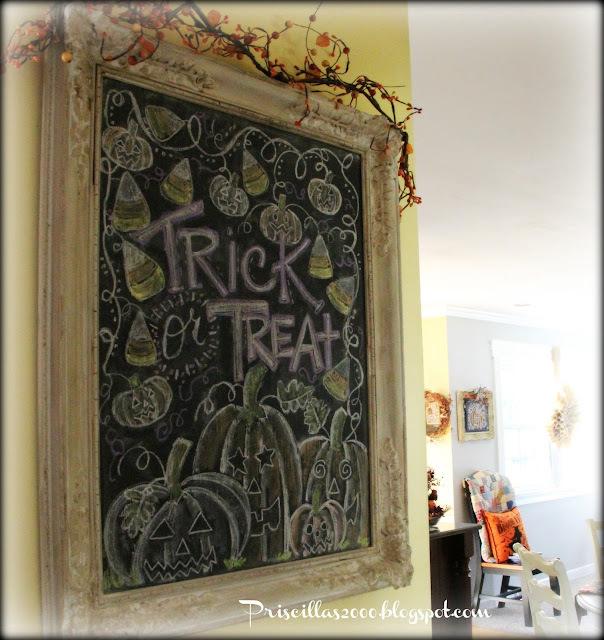 I have a question on your chalkboard art...what colorful chalk do you use or chalk paint (if it is removeable)? I am just beginning!